During the early 1970s MBE Fabrications carried out fabrication work for local farmers in the Lincolnshire Fens. This quickly developed into more specialist work for irrigation and effluent treatment equipment companies. The welding experience gained manufacturing water tight effluent treatment tanks placed MBE in a strong position to produce water tight maintenance pits, a major requirement in the Fens. 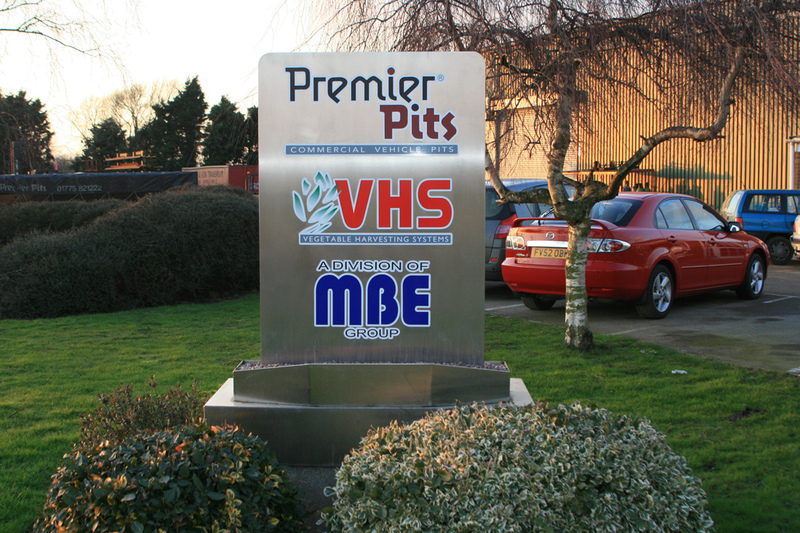 After successfully manufacturing and installing several pits in the local area, MBE established Premier Pits as a separate divison. Since then the Business has grown consistently, to the point where pits are now supplied throughout the UK, Europe and Internationally. Premier Substructures have the ability to prefabricate pits for a wide range of below ground applications. Utilising Premier Pits’ expertise in creating vehicle maintenance and inspection pits, they are manufactured to the same exacting quality standards in our factory. This approach has been used for such applications as lift and escalator pits, machine foundations and baggage handling pods. Visit their website here. The full scope of MBE’s engineering skills is highlighted in the range of sophisticated products developed and manufactured by the VHS division. Since developing the first, very simple, vegetable harvester in 1986 the Company now manufactures highly sophisticated mobile packhouses. Each packhouse has its own engine and power train and is able to be driven in the fields or on the road. Visit their website here. Mel Burrell, who was born in Quadring, is the founder and Managing Director of MBE and its subsidiaries. Over the years he has built up a focused, highly skilled, team of more than 40 people, dedicated to continuous product improvement and high quality. We offer a vast array of customisations to make your pit work for you. Why choose a Premier Pit? Top coat – ISO free 2 pack gloss white.